Cosmetic Dentistry - Paradise Dental Group offers top services in cosmetic dentistry. Visit our website to find out more information or call us at (407) 506-0400. Russell Hamarnah, DMD, an Orlando cosmetic dentist, offers a variety of cosmetic dentistry services designed to enhance the beauty of your smile. Whether you need a few cavities filled or need extensive dental work done, our Orlando cosmetic dentistry services are affordable without compromising quality. 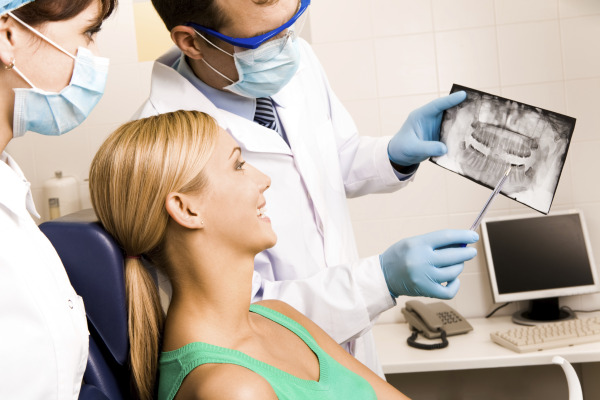 Many dental procedures can be approached from both a general and a cosmetic perspective. With cosmetic dentistry, the underlying issue is corrected while the materials and techniques used ensure an aesthetically pleasing result. For example, you're likely familiar with traditional metal fillings which can easily be seen as metallic blemishes on teeth. While metal fillings serve a purpose, they are unattractive and noticeable. Composite fillings serve the same purpose, yet they are barely noticeable thanks to the natural tooth color of the composite material. Similarly, metal-free crowns and caps repair your teeth without unsightly metal components. Other cosmetic dentistry procedures are used to close gapped teeth, correct overcrowding, correct misshaped teeth, replace missing teeth, whiten teeth, and more. As with all of our dental services, Dr. Hamarnah is adamant about providing affordable, high quality, and pain-free dental care. You may be pleasantly surprised to find that our cosmetic dentistry procedures are comparably priced to traditional procedures or bring far more value such as aesthetics and durability. Dr. Hamarnah will be happy to discuss the various options with you as well as answer any questions you may have about cosmetic dentistry. We want your smile to look amazing and offer numerous options to help you accomplish that. Is cosmetic dentistry the right choice for you? Schedule an appointment with Dr. Hamarnah, an Orlando cosmetic dentist, today by calling our office.